Fires caused by electrical faults are as preventable as they are common. Beat this sinister threat by having your appliances and power leads inspected by an expert from Fire Extinguishers Australia. Your appliances and leads will be checked visually and electrically to detect any unseen circuit or earthing problems. Examination outcomes are then logged for record keeping as required by statutory governance. 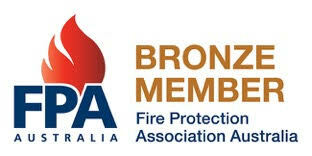 Fire Extinguishers Australia can provide qualified support for all your emergency systems and procedures. From the display and lighting of safe evacuation routes, to the knowledge of evacuation staging points and procedures, many items that should be considered and practiced. We'll help you get that all important planning right. There are few more terrifying scenarios than trying to escape from a building that is fiercely alight. It is not like in the movies! Fire moves with terrifying speed and unpredictability. The smoke and fumes combine, to blind, choke and radically inhibit your senses. It is a life and death race against time, disorientation and confusion! There is nothing more important than keeping your fire fighting equipment in tip-top condition. Your life could depend on it! Can you imagine, after having made the wise investment of equipping your home, office or factory with extinguishers, you find they fail you at the explosive moment they are needed? Disaster!!! Your equipment must be regularly checked and serviced! It's part of our service. 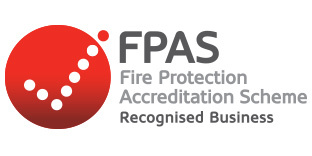 We'll check and maintain all your fire fighting equipment, on site, quickly, efficiently and in a way that does not impact negatively on your operations. We ensure your extinguishers and other appliances are ready for action. A unit that has become tarnished, for example, may not work, its instructions may be unreadable, and it may reflect poorly on the business. What training is available or appropriate?